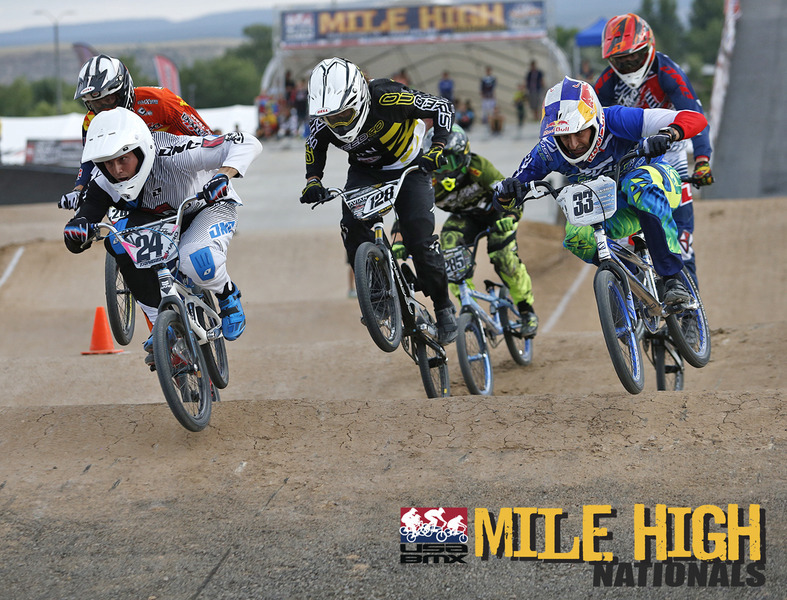 Stop 2 for the USA BMX North American Supercross Series was to a brand new facility in Grand Junction, CO. While this maybe the first time for such a big event in Grand Junction, you can definitely mark it down on your calendar for years to come as a must attend event! 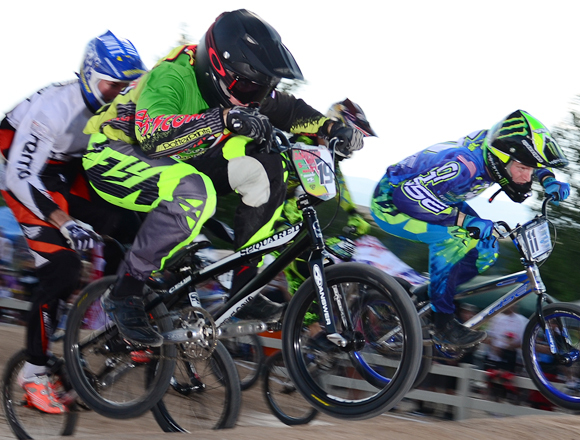 Located just off a major Highway, the Grand Junction track houses an 8 meter and 5 meter starting ramp offers one of the fasting growing local scenes for BMX racing in the USA a chance to become one of the new BMX it spots in the USA! 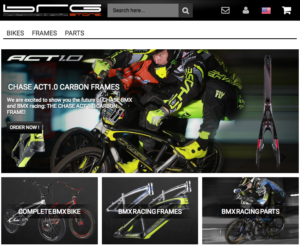 The Chase BMX Factory team riders Joris Daudet and Connor Fields both recently returning from the 3rd round of the UCI BMX SX tour in Sweden were excited to race on the USA BMX circuit this weekend for a few reasons – They currently sit 1 & 2 in the overall pro points, both seem to excel on the 8 meter ramp, and the increased payout would definitely make the weekend of bar to bar battling worth the risk involved. 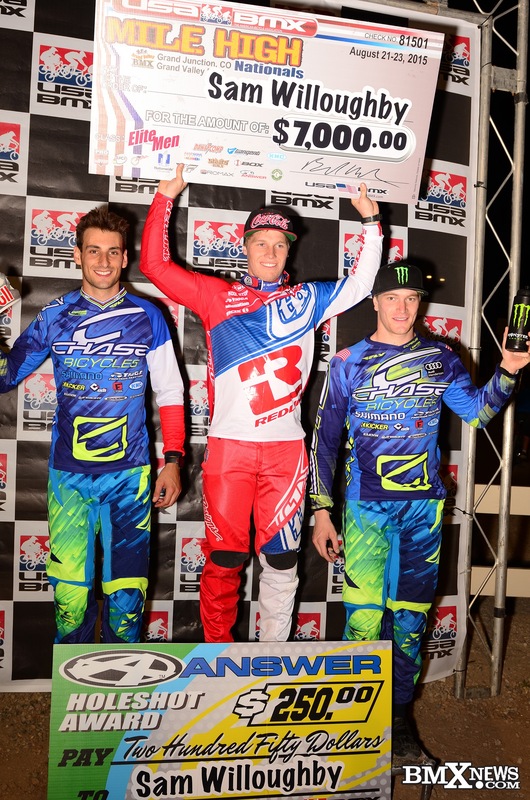 On Friday night, both Joris and Connor rode strong all day and made their way from the Motos, 1/4s, 1/2s, and into the main event. With 37 of the worlds fastest pro riders in attendance, the main event would be an all out drag race for the victory. When the gate dropped it was just that, with Connor and Joris trying to grab the hole shot, but it would be Sam Willoughby who would take the lead entering turn 1. Joris just edged out Connor and would try to overpower Willoughby, but Joris was unable to do so, as Sam was flat out hauling. 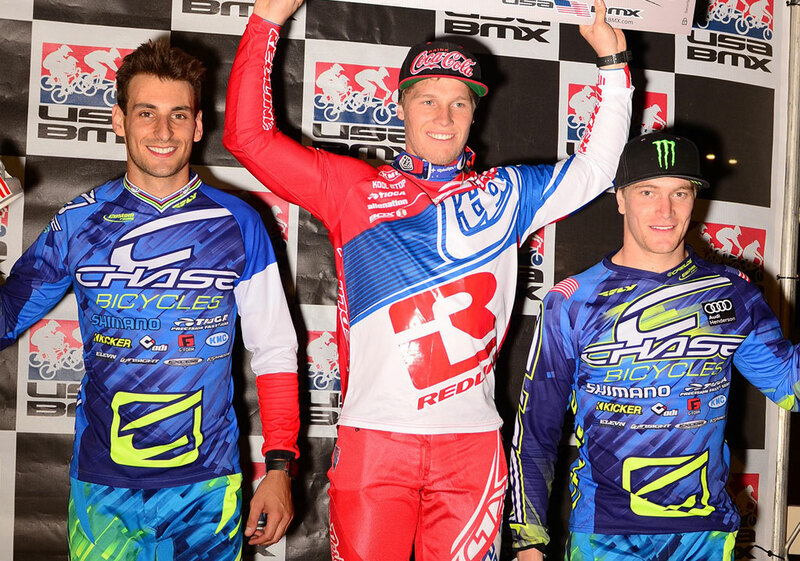 Joris would finish an impressive 2nd, and Connor in tow for a 3rd. On Saturday, Joris and Connor would once again show the fans their skill and speed as both would again line up for the main event. When the gate dropped, it looks as if Joris and Sam bumped ever so slightly, while Connor had a great start and looked to take a slight lead advantage. But as they all catapulted towards the 1st turn, it would be Willoughby that once again has a slight lead and unfourtantly for Connor, his lap ended at turn one, with a pile up. Joris was stuck to the back of Sam’s Tioga Powerblock once again, and would chase him all the way to the finish for another impressive 2nd place finish! What a great weekend for Joris and Connor, as they now have a weekend off and then get ready to head to South America for stop #4 of the UCI BMX World Cup tour in Argentina on September 4-6.